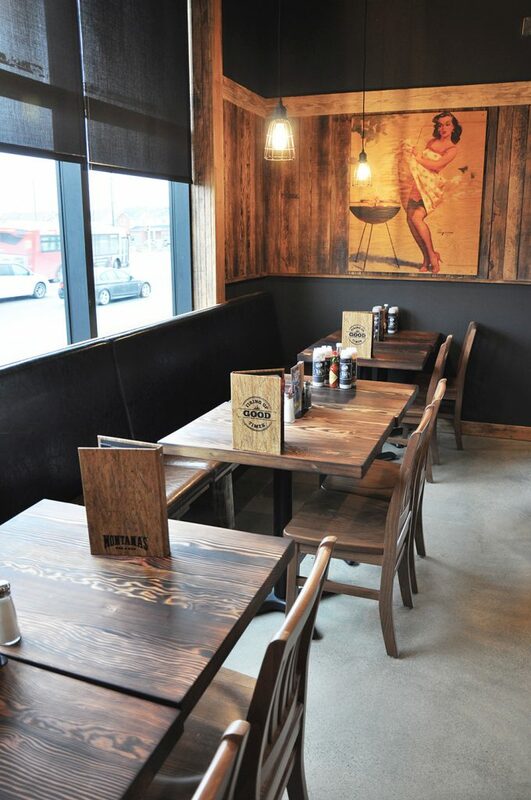 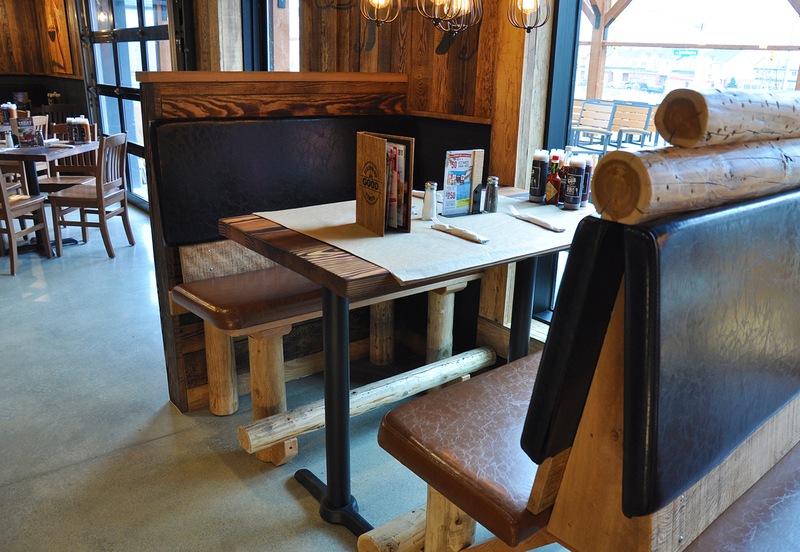 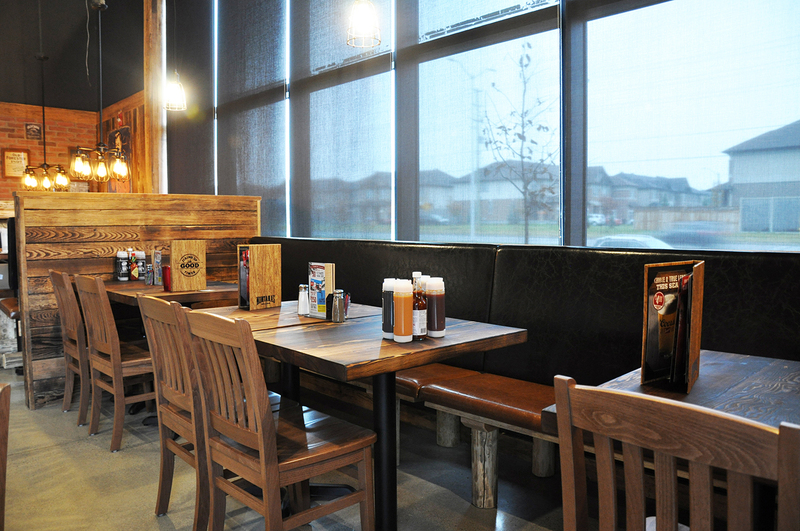 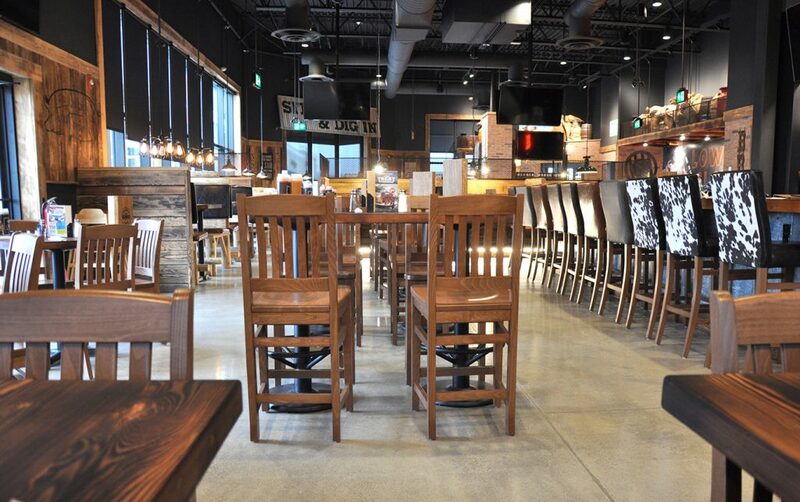 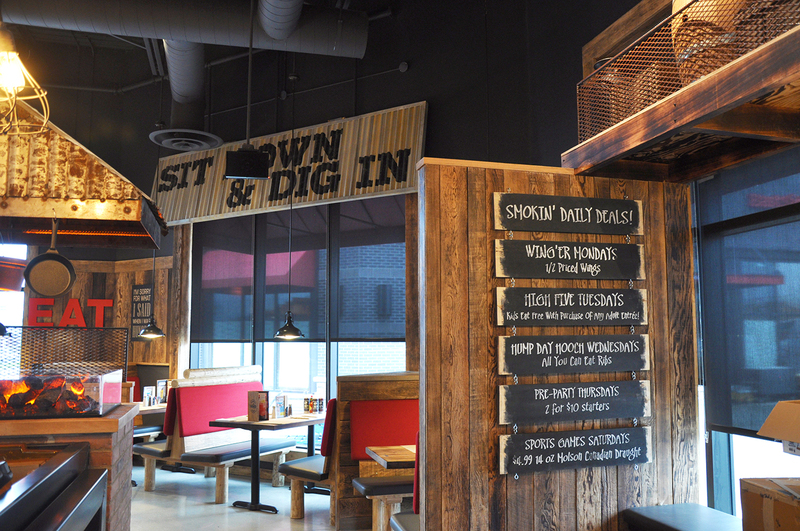 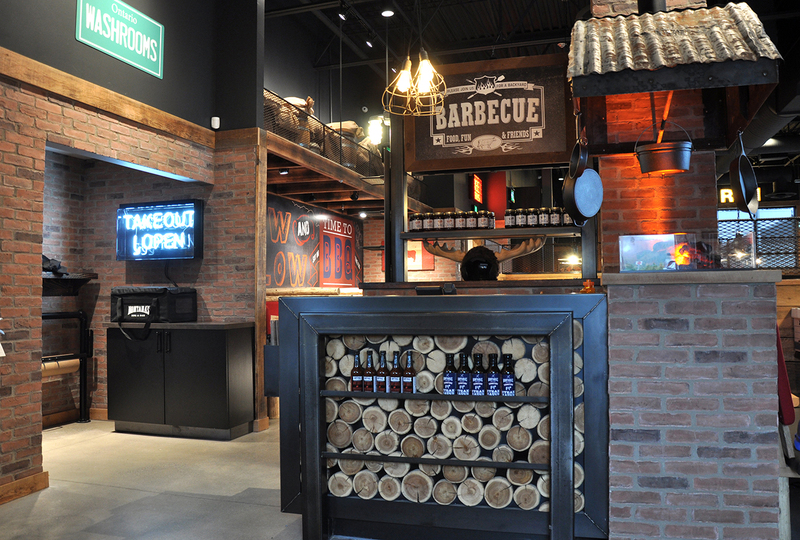 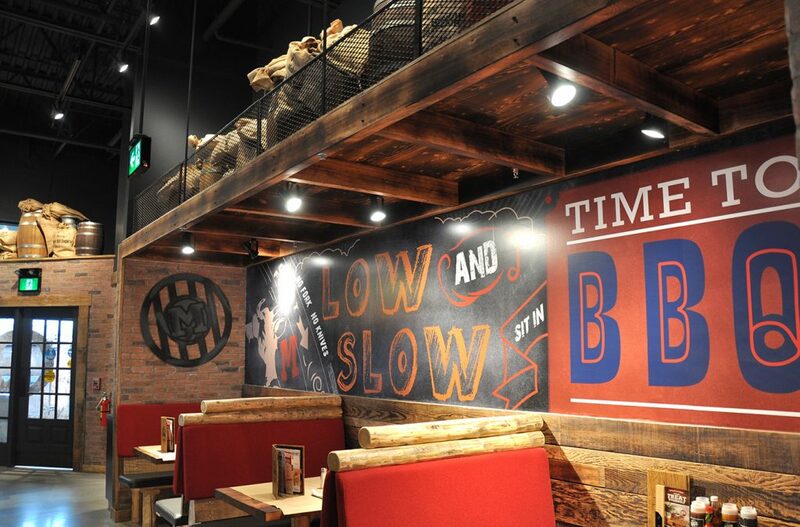 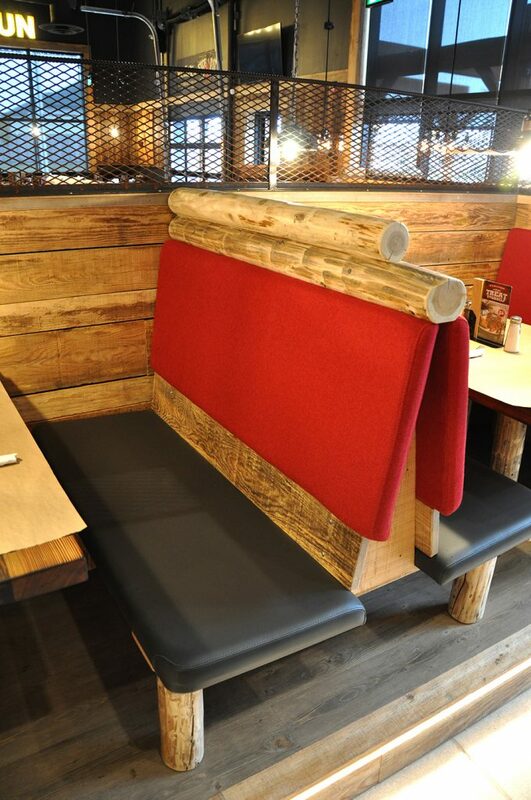 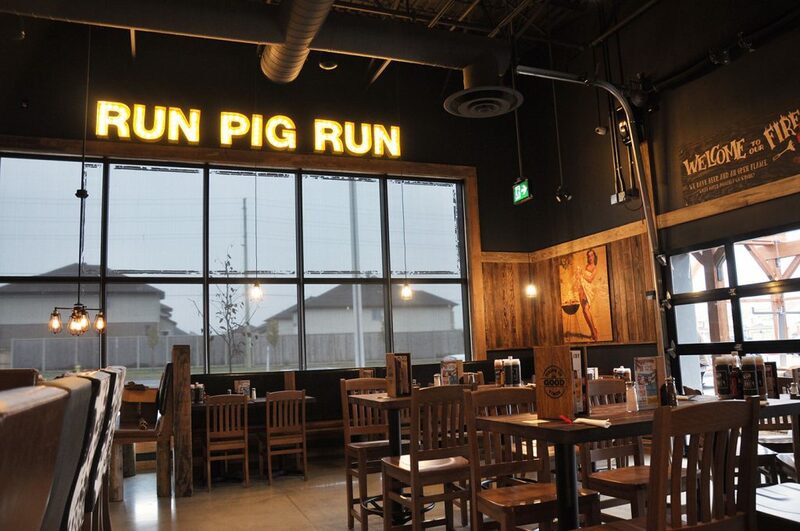 Recipe Unlimited turned to Terlin to do the complete interior fit-up of their newest Montana’s BBQ & Bar, located in Barrhaven. 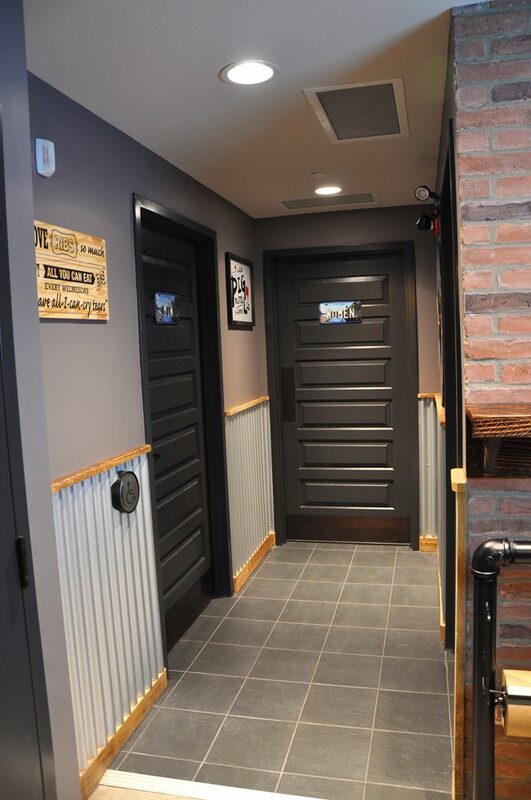 The scope of work for this project included normal fit-up elements such as flooring, plumbing and electrical, kitchen equipment installation and drywall, but also unique pieces like a water-fed fireplace, a garage door leading to the patio, saloon doors to the kitchen, and a gorgeous, retro-look bar. 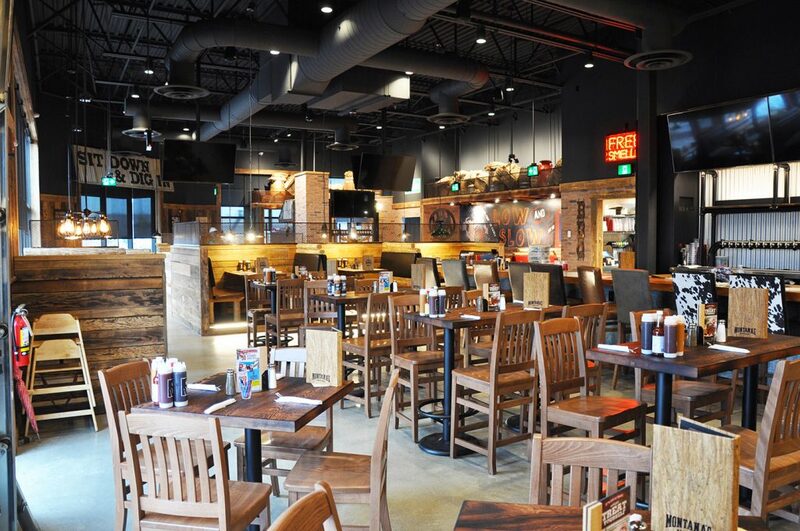 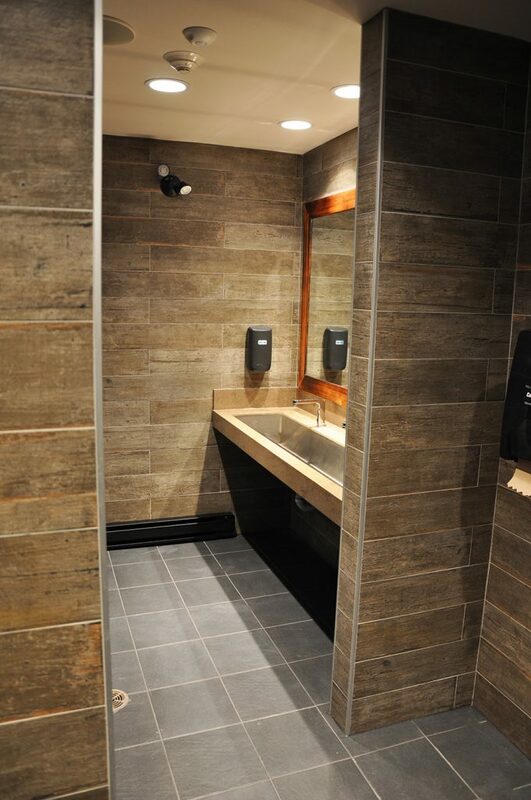 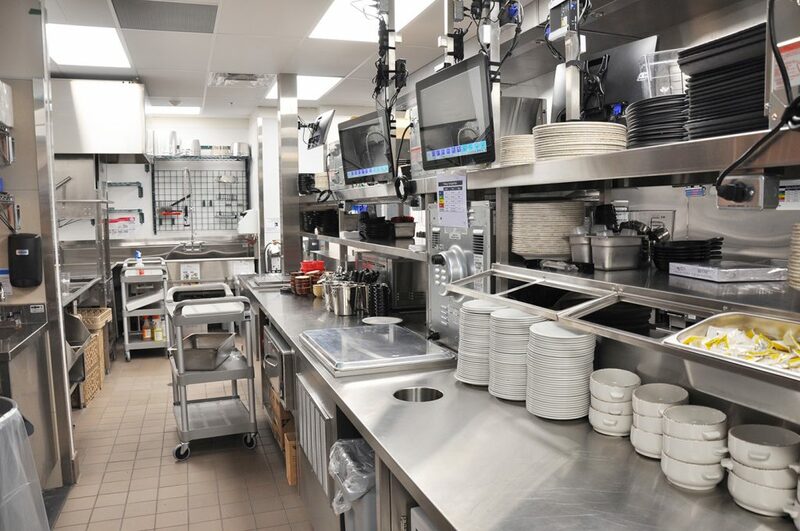 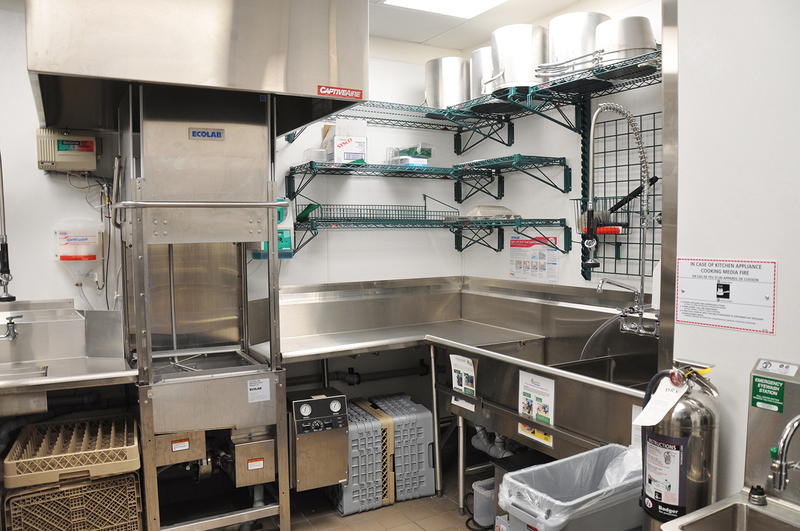 Working within the specification of the national standards for Montana’s, Terlin delivered a beautiful and welcoming restaurant, on schedule and budget. 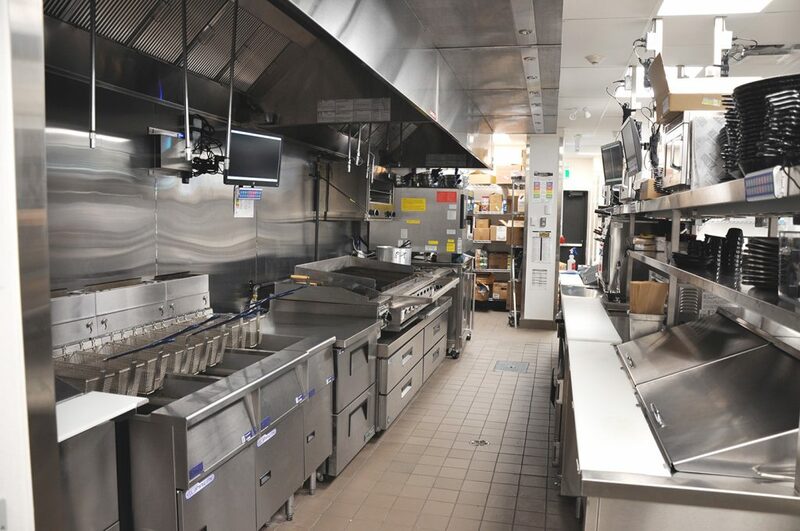 Terlin’s project manager and site supervisor worked together to stay on top of the project schedule and provided regular updates to the clients. 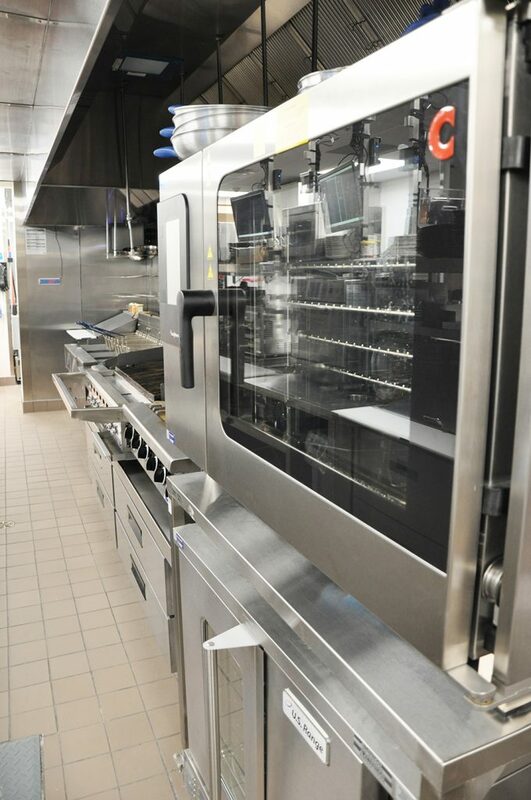 We look forward to an ongoing relationship with the group from Recipe Unlimited.